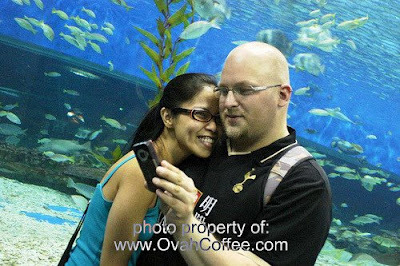 After visiting the 8,000 square meters oceanarium in Manila, Philippines (Manila Ocean Park) on July 19, 2009, I began dreaming of having my own aquarium at home containing a number of different types of saltwater fish. It doesn't have to be massive. Just something I know I can handle and take care of. My younger brother, Mark owns two aquariums of exceedingly great sizes back in our home in the province with various types of fish. My dad on the other hand possesses a number of fish tanks where he keeps his fish pets safe. I for one fancies my own glass-sided tank where my soon-to-be-purchased living aquatic animals will have as their new home. Aside from looking for the perfect fish to have, it is just but natural to look for where one can possibly buy coral pieces to go into the aquarium. Corals just do not serve as something to make the tank look more attractive. These organisms are also essential in providing a better environment for the fish. I will surely hunt for some coral for sale as soon as possible and check for prices. If ever I will begin investing for this type of hobby, I might as well know how much I will probably need and start saving now. I can't wait to have my own little ocean at home!